Valsartan is mainly used for treatment of high blood pressure, congestive heart failure, and after a heart attack. 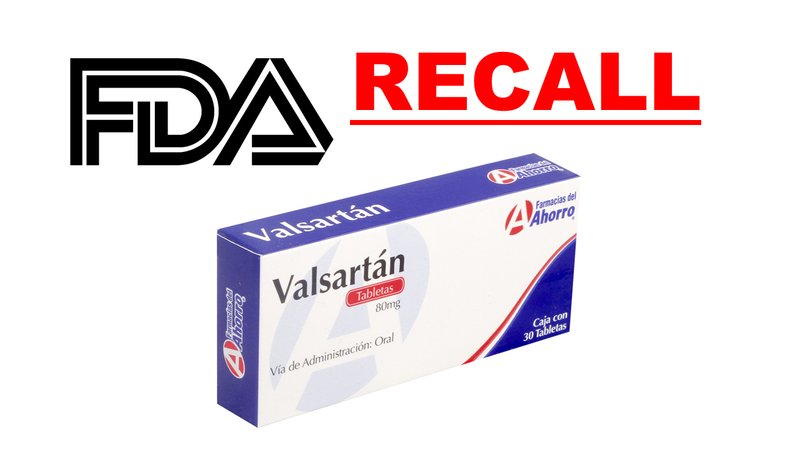 The FDA has announced a recall of several drugs that contain the heart drug valsartan because a possible carcinogen NDMA (N-Nitrosodimethylamine) that was found in the recalled products. NDMA, which was found in the valsartan products, could cause cancer, according to lab tests.